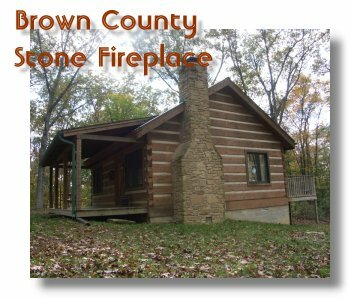 This wonderful log cabin has a wood burning "Brown County Stone" fireplace perfect for romantic evenings with a bottle of wine. 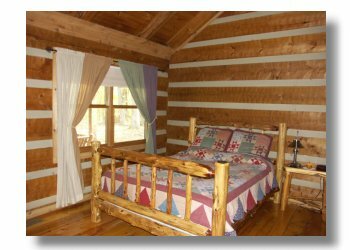 There is an outdoor hot tub on the back deck and a large whirlpool tub in the oversized bathroom just off the queen bedroom. 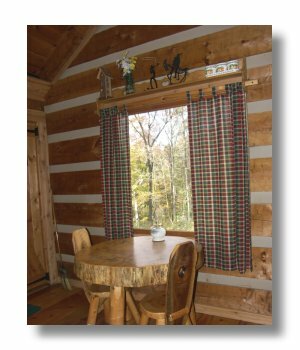 In the morning enjoy a cup of coffee with a view of the wooded property. 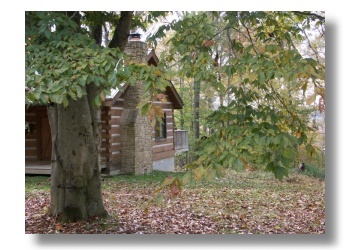 Lazy afternoons can be spent hiking in the woods or relaxing in the front porch swing. Relax, renew, rejuvenate. 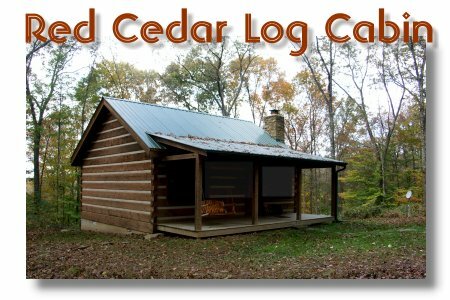 This little cabin in the woods is just what you have been looking for. Get away from it all for a week or a long weekend. 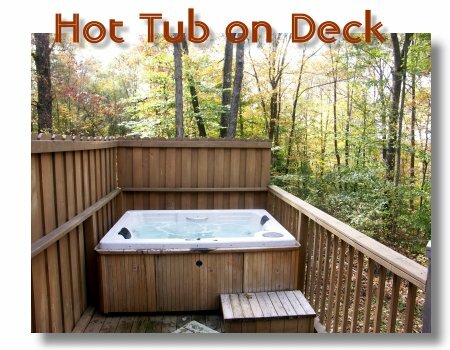 Cuddle up by the fire, soak in the hottub, relax in the porch swing. Read a good book. Hike in the woods. Enjoy this little piece of heaven on earth.